Following 6.4 magnitude earthquake in Taiwan on Saturday, IsraAid decided to send a search and rescue team to locate victims and survivors. A 6.4 magnitude earthquake struck Taiwan, and has killed 14 people. The epicenter of the quake was located near the city of Tainan and collapsed at least one high-rise building. Over 340 people have been rescued from the rubble in the city, but over 100 people are still missing. The quake struck just before dawn on Saturday morning and rescuers have been working since to locate victims and rescue survivors. According to witnesses the building "folded like an accordion" to one side following the quake that was strong but shallow. AP reported that over 2000 firefighters and soldiers have been working with ladders and ropes to pull people from the rubble of the collapsed building and surrounding area. 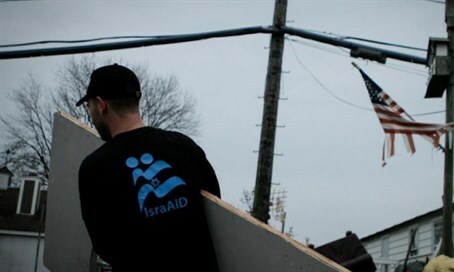 One of the Israeli relief organizations that specializes in search and rescue operations around the world, IsrAaid decided on Saturday night that they will be sending a team of 12 search and rescue experts to join the relief teams already on the ground. Taiwan's official Central News Agency reported that 172 people were missing. Rescue worker Jian Zhengshun said that the work was difficult as part of the building is believed to have buried itself underground as a result of the fall and the quake loosening the earth. Rescue workers will have to dig passages to reach survivors. The building has 256 registered residents and included a care center for mothers and newborns. A newborn infant was included in the fatalities that resulted from the quake. The quake came just two days before the Lunar New Year celebration began which marks the most important family holiday of the Chinese year.